Maybe and I reiterate *MAYBE* the last map I ever make. I finished this almost 4 years ago and I figured I would upload it while I'm in the neighborhood. I have been bitten by the mapping bug again, but UED is unstable on my current PC and crashes often. I'm still coming up with ideas though!! 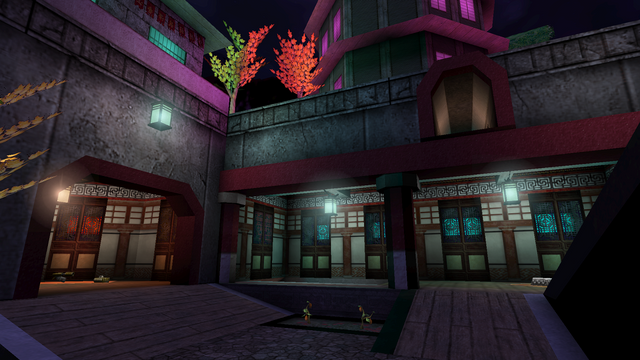 This is a complete rebuild of my 2007 map DM-Jaturungkabart using a layout I dreamed up for UT2004. That map never came to be, but I used those ideas here. Similar layout, but less of a slapped-together feel. Personal rank: UT Stimulus Package! Muff_N wrote: Maybe and I reiterate *MAYBE* the last map I ever make. It's good that's just a big MAYBE. This does look very nice - liked the original DM-Jaturungkabart as well. Muff_N wrote: ... I figured I would upload it while I'm in the neighborhood. Are you going to post the map here or post a download link? Muff_N wrote: but UED is unstable on my current PC and crashes often. I'm still coming up with ideas though!! The log has no hints about those crashes? Wow. That looks very cool! Does that gong trigger a sound if you hit it? 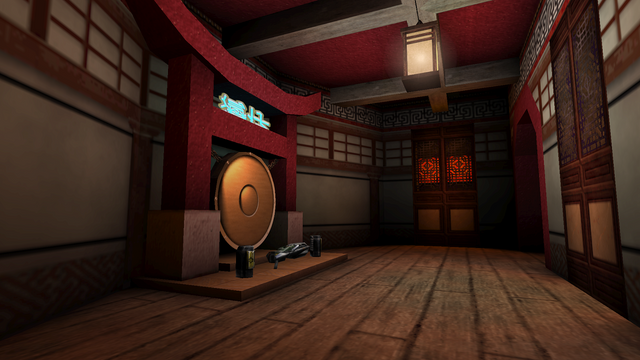 Feralidragon wrote: Does that gong trigger a sound if you hit it?